In this first tutorial, I'll demonstrate what I am talking about by improving upon this boring New Mexico sunset using Xara X1's XPE Xara Picture Editor, which is perfect for this kind of image enhancing. I took two different exposures of this sunset because I wanted to include the homes in the foreground which are too dark to see when the sky is the correct exposure. 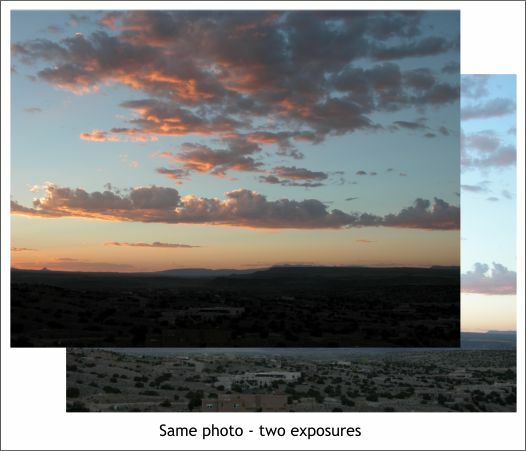 So I have one photo exposed for the sky and another lighter version exposed for the earth. The sky photo is nice, but lacking in vividness and intensity, a not uncommon problem with most digital photos. Double click on any photo to open XPE. 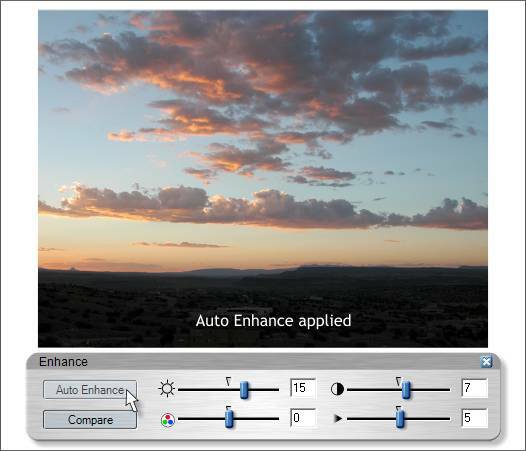 You can also right click on the photo and select the option or select Xara Picture Editor from the Utilities menu. I always like to see what XPE recommends by pressing the Auto Enhance button. In this case, the results were less than spectacular with modest changes. I know we can do better. Increasing the Contrast setting (top right slider) put more punch in the fiery clouds and a small amount of Sharpness (bottom right slider) sharpened the image. A small amount of Color Saturation added a little more intensity to the deep orange hues in the clouds. I rarely add more than 5% Color Saturation unless the image is very dull and washed out. 3-5% is generally more than enough. 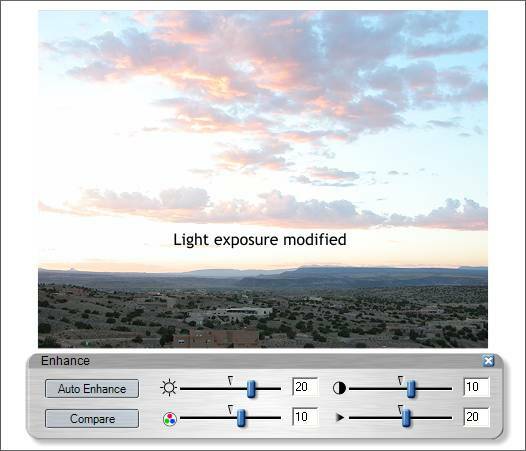 I made these modifications to the light photo and in this case, increased the Color Saturation setting to 10%. 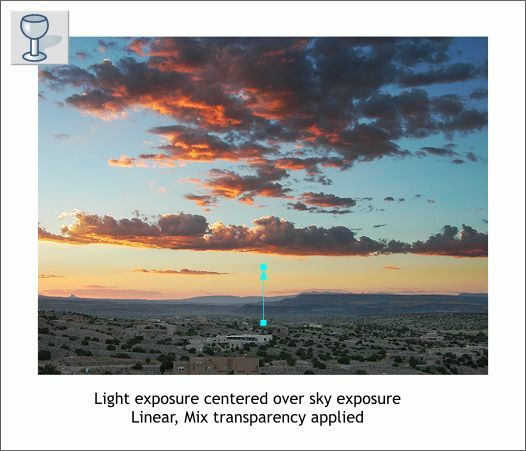 The light exposure was centered over the sky exposure and a Linear, Mix transparency applied starting in the middle of the earth area at and extending a small distance into the sky. The modified photo looks convincing and achieves the desired effect.